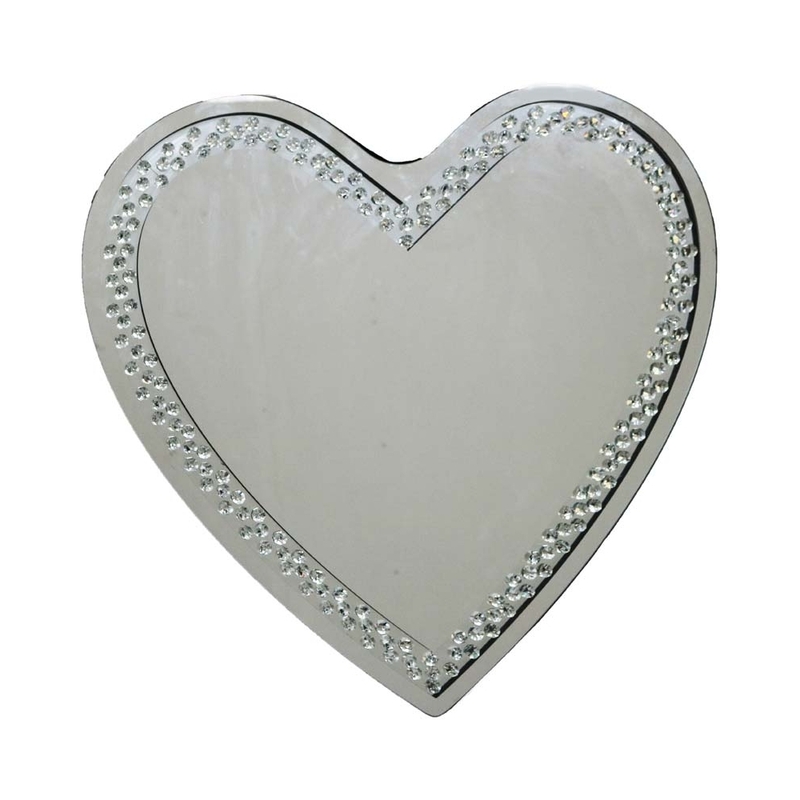 This is a gorgeous mirror with a beautiful heart design. This is a perfect piece to add to your home for a little bit of character. This mirror is a cute and adorable addition that is perfect for a small decorative piece. It's from the Rhombus mirrored collection and has a stunning detailing on the outside finished with gems.